The P6171 stainless steel undermount bar sink makes a great addition to your small kitchen or bar area. 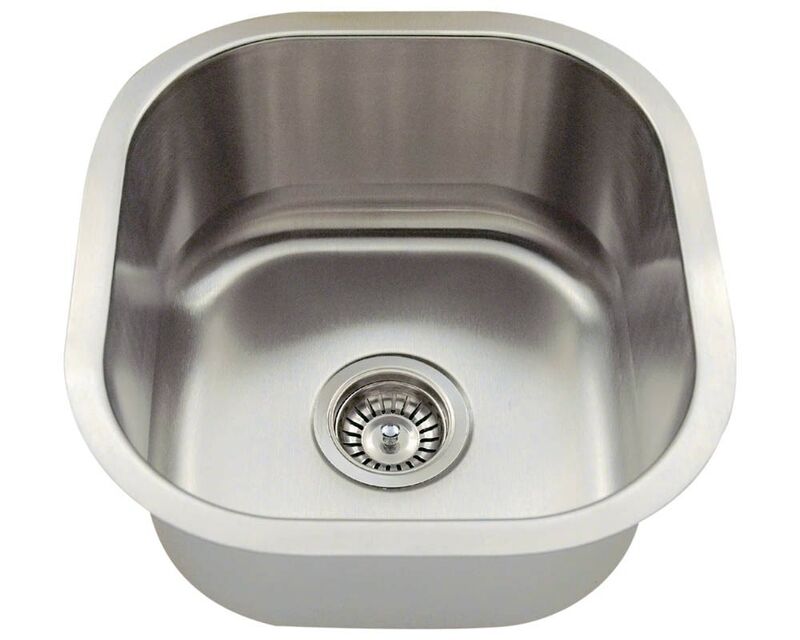 Constructed from 304 grade stainless steel, the single bowl P6171 is available in your choice of 18 or 16 gauge thicknesses. The brushed satin finish helps to mask small scratches that may occur over time and keep the sink looking beautiful for years. The overall dimensions of the P6171 are 16" x 17" x 8 1/8" and an 18" minimum cabinet size is required. This sink contains a 3 1/2" center drain, is fully insulated and comes with sound dampening pads. As always, our stainless steel sinks are covered under a limited lifetime warranty for as long as you own the sink. Strainer not included.